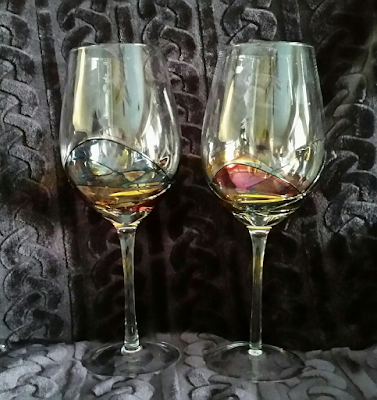 ELEGANT DESIGN: These tall wine glasses will single-handedly enhance your table at the same time dazzle your guests. The narrow, tall stem makes them comfortable to hold in your hand. Valentina Paris artists' create works of art that not only enhance your wine drinking experience, but the entire ambiance in the room. Using the time-honored tradition of mouth-blown glass, their professional artists hand paint each design to ensure high-quality, durability and elegance. And because of our superior design, their glasses are a perfect match for any occasion, be it an elegant dinner, casual get together, or relaxing evening with a good book. 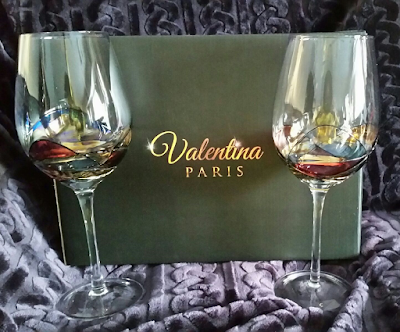 100% GUARANTEE: Each purchase includes a Set of 2 Valentina Paris wine glasses with a 30 day Money Back Guarantee. If for any reason you don't fall in love with your wine glasses, they'll either replace them, or give you 100 percent of your money back. What is your favorite way to enjoy a nice glass of wine? Those wine glasses look beautiful! They would make a great gift. These are really pretty. 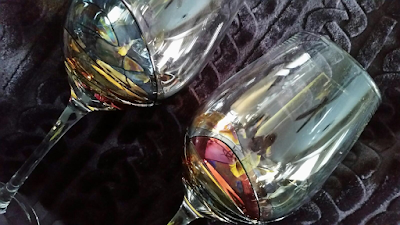 I have some painted wine glasses that are pretty, too. I have to admit I've actually never used them - I must get them out and have some wine with them!